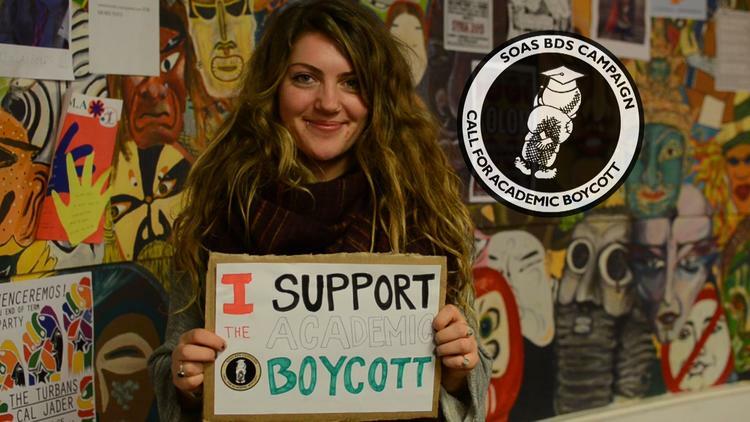 A historic victory for the Boycott, Divestment and Sanctions (BDS) movement was achieved Friday in the referendum on the academic boycott of Israel, at the School of Oriental and African Studies (SOAS), University of London . . .
… Presently, SOAS has ties with the Hebrew University, which unapologetically joined the “war effort” last summer when the Israeli army murdered over 2,000 Palestinians in Gaza. In October 2014, the US weapons-producer Lockheed Martin announced that a cooperation agreement had been signed with Yissum, a technology firm that belongs to the Hebrew University.